The Nike Air More Uptempo Bulls colorway debuted last year only in gradeschool sizes. But come April 2017, the popular Chicago Bulls-themed Nike Air More Uptempo will be available in men’s sizes. Originally part of the “Hoop” Pack from 2005, the classic colorway is back. 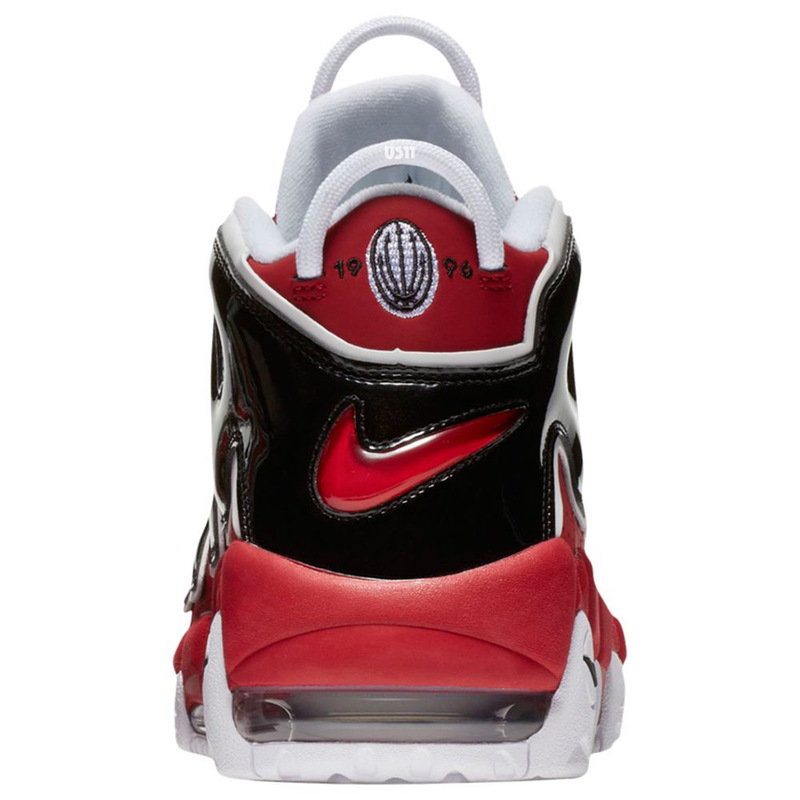 Featuring a Red-based upper with a Black patent leather “AIR” branding that wraps the entire shoe. A White inner liner and outsole completes the classic design. Look for the Nike Air More Uptempo “Bulls” to release in men’s sizes on April 7th, 2017 at select retailers. The retail price tag is set at $160 USD. UPDATE: Nike is set to release the “Bulls” Air More Uptempo tomorrow via Nike.com.